This half term, we are creating our very own PowerPoint presentation in Computing! 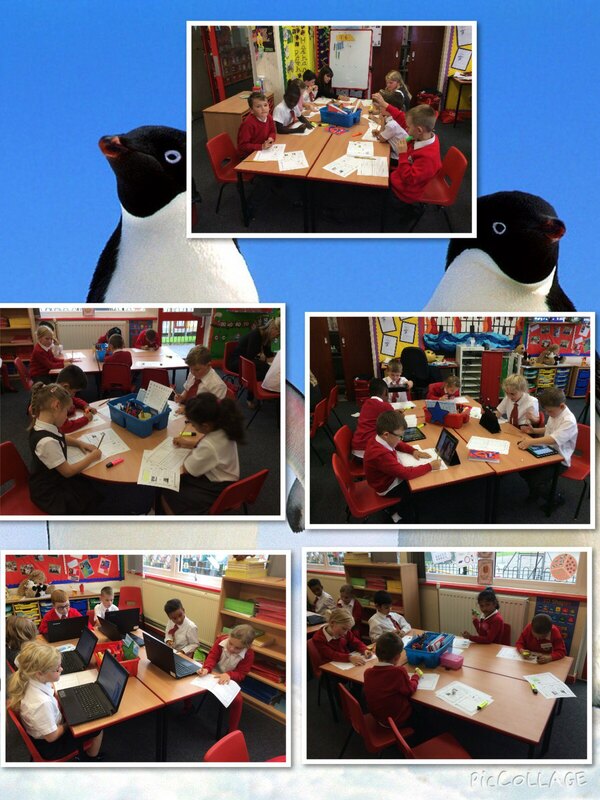 As we are learning all about the North and South Pole, we have decided to make our presentation about penguins! We needed to be super researchers to find information for our presentations and I’m sure that you will be very impressed with how many interesting things we found out about these peculiar birds! This entry was posted in Year 2 and tagged Geography on September 22, 2017 by Sandford Hill. Penguins are amazing birds, they seem to fly under water! The children were excellent researchers! We learnt that the emperor penguin is the largest of the penguin species. I can’t wait to continue our learning with this topic. @Adena Perry: I’m so pleased that you enjoyed it Adena! You really were a top researcher and had many scientific words like migration!! You perhaps know more than me now! I felt so proud when Mrs Martin gave you your sticker because I know how hard you have been working See you tomorrow! I enjoyed finding out about penguins! They are nearly 90 pounds heavy! Is a penguin a bird or a mammal? How do you know? Penguin has flippers that look like wings there’s some other creatures that have the same thing it’s like flamingos. I miss you Miss Harrison ♥️❤️♥️❤️♥️❤️ Love you.